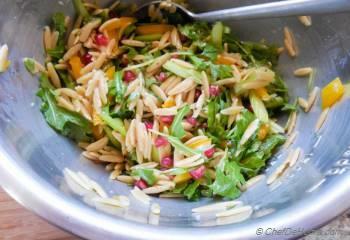 Sharing with you a lite and fit vegan orzo pasta and wild arugula salad dressed in a simple meyer lemon dressing! Meyer lemon is one of my favorite citrus and I love grabbing some whenever these are in season. Their sweet and sour taste is really unique, kinda combination of navel orange and lemon. No kidding, I use it in everything from cakes to lemonades, you name it! No one likes whole wheat pasta in my home..... but I still bought a packet to use it somehow instead of white flour pasta. Picky eaters in home are fan of crunchy celery and peppery arugula. So, today's salad was an attempt to keep every one happy. I'm happy because this salad has almost 4 servings of vegetables and greens, plus whole wheat pasta. 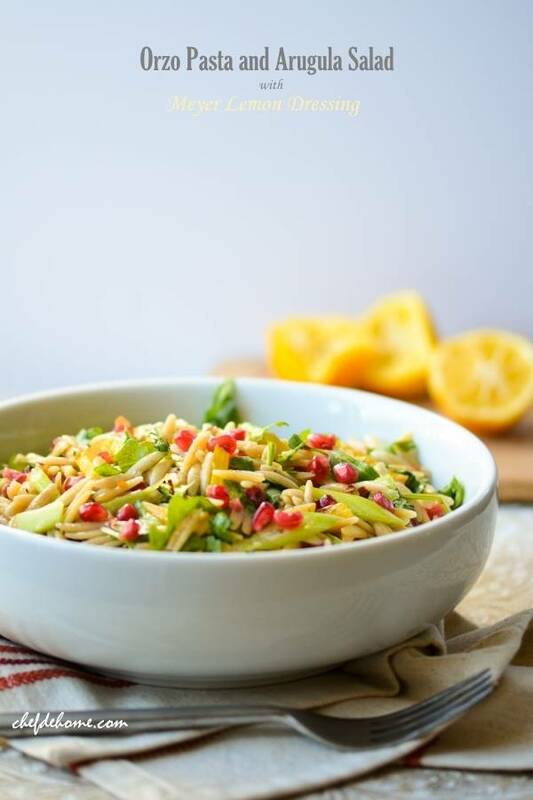 My picky eater happy because it is pasta, and has ton of crunch from fresh celery, bell peppers, color and sweetness of pom seeds, and subtle flavor of sweet 'n sour meyer lemon dressing! total win-win! and salad looks so scrumptious and clean!! Isn't it? 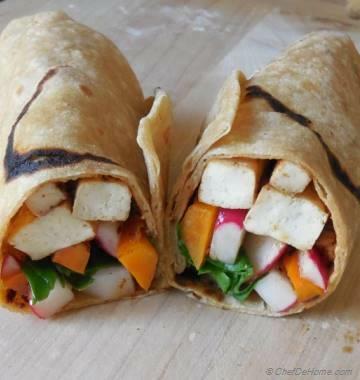 I love-love foods that can keep health and picky eaters on same page!!! 1. 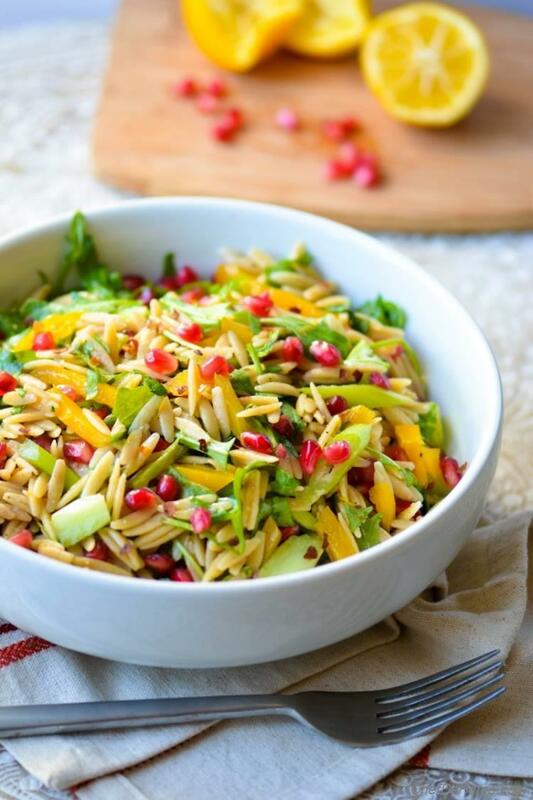 Instead of Orzo, you can use cooked long grain rice or any small semolina pasta too for this salad. 2. 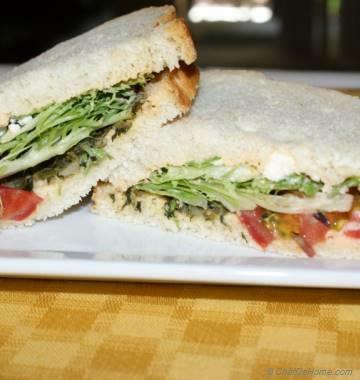 Instead of arugula, you can use fresh baby spinach or watercress also taste great. Only one condition, chop it well. 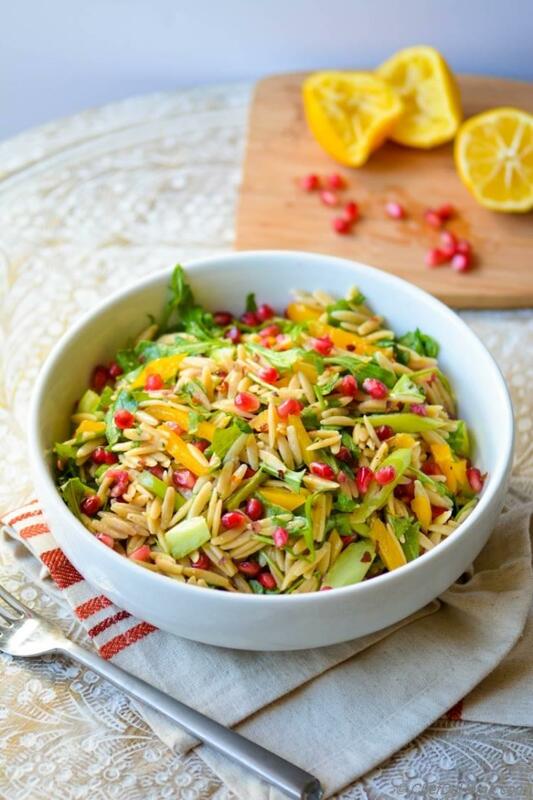 Long stems of greens in this salad are never appealing! 3. 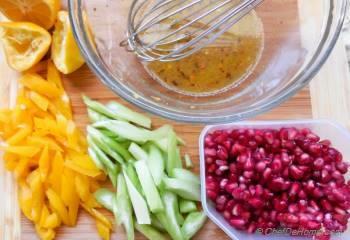 Instead of yellow pepper, use three color or any bell peppers or even sweet pepper. 4. Instead of meyer lemon, or if you can't find meyer lemon, use equal parts lemon and navel orange juice. 5. Can't find pom seeds, use black sweet seedless grapes or blueberries! 6. 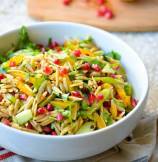 This salad is VEGAN, but you can add 1/4 cup of goat cheese (crumbled) or feta for some extra oomph! 7. 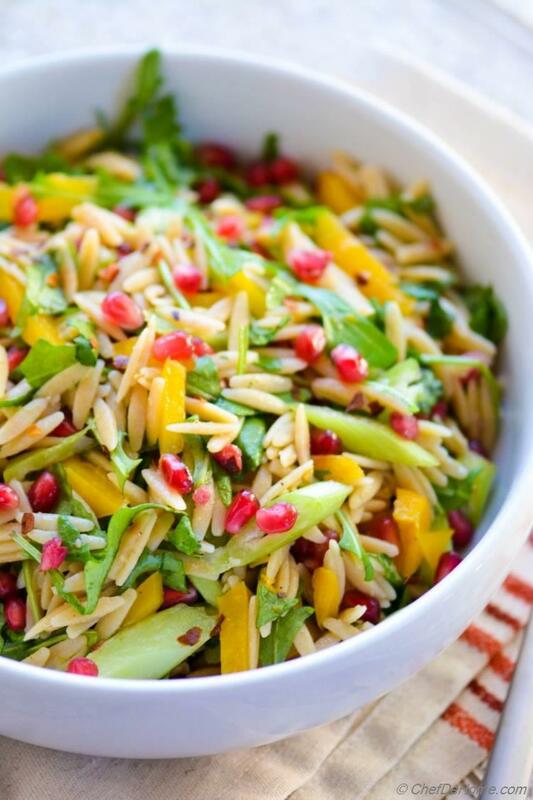 This salad is not gluten free, but if you decide to use rice, then it will be gluten free also. Just don't use cheese if using rice, that won't taste good. I hope you enjoy it because I'm drooling looking at these pictures! wanna make it again! soon! Total Time 20 minutes Prep Time 10 minutes Cook Time 10 minutes Difficulty Easy Yields 4 Servings Serves 2 Notes 2-3 substantial or 4 side servings. 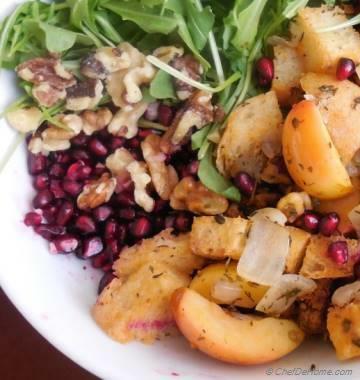 I like arugula a little bite-size in this salad. Whole long stems of arugula does not work for me. So chop it if you like or keep it as-is. 3. 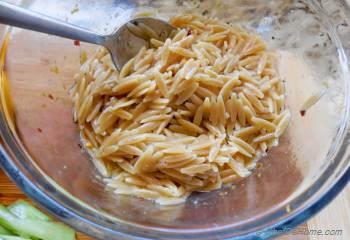 When pasta has cooked, drain pasta and transfer to a clean wide salad bowl. Add half of the dressing and mix well. Set aside to cool completely. 4. 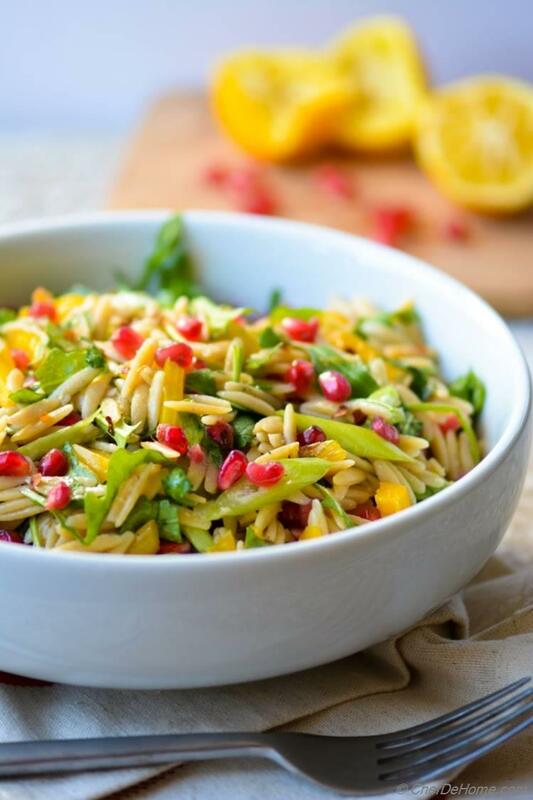 Once pasta has cooled to touch, add chopped bell pepper, celery, and pom seeds to the orzo pasta with remaining dressing. Toss to combine. Add chopped arugula and gently toss to get everything in even proportion. Serve chilled or at room temperature! Mira, thank you so much! much appreciated! Manali, thanks :) You know when I moved to US, I used to laugh at everyone who ate raw greens or salads. silly!! right? but today, I can't get enough! I'm obsessed with salads. Your little(you think) brain makes awesome recipes, I often drool looking at them :) I'm happy to have u in my circle! thank you so much, Shubha! Gingi, thanks! I appreciate your words! Happy to see you stop by!